The French Foreign Legion has built a reputation as one of the world’s most formidable and colorful military institutions. Established as a means of absorbing foreign troublemakers, the Legion spearheaded French colonialism in North Africa during the nineteenth century. Accepting volunteers from all parts of the world, the Legion acquired an aura of mystery and a less-than-enviable reputation for extreme brutality within its ranks. 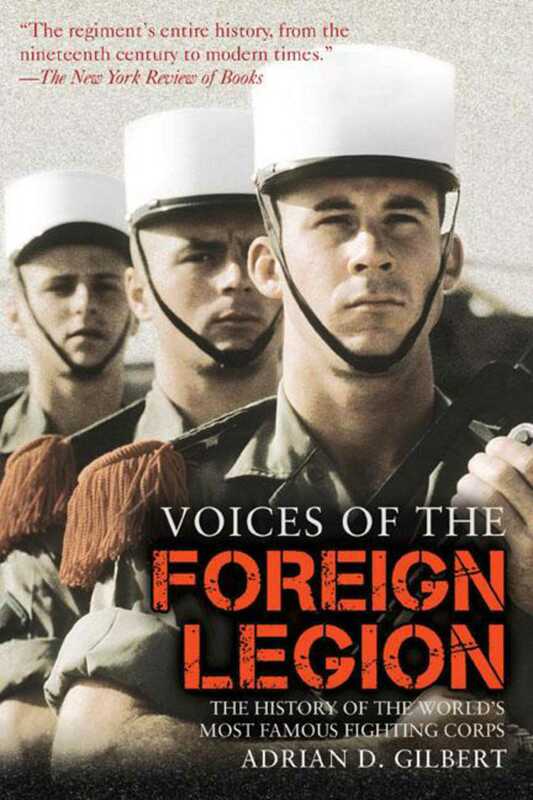 Voices of the Foreign Legion explores how the Legion selects its recruits, their native lands, and why these warriors seek a life full of hardship and danger. It analyzes the Legion’s brutal attitude toward discipline, questions why desertion has been a perennial problem, and assesses the Legion’s remarkable military achievements since its formation in the year 1831. This is the real story of the Legion, featuring firsthand accounts from the men who have fought in its ranks. Its scope ranges from the conquest of the colonies in Africa and the Far East through the horrors of the two world wars, to the bitter, but ultimately hopeless, battle to maintain France’s far-flung imperial possessions. The story is brought fully up-to-date with accounts and anecdotes from those contemporary foreign legionnaires who continue to fight for French interests around the globe.